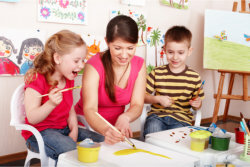 24-Hour Childcare - Day Care in Irvine, CA | Little Leaderz Day Care, Inc.
We’re available 24/7 for your children. At Little Leaderz Day Care, Inc., we recognize the need for 24-hour childcare, especially with many parents working irregular shifts. Hence, we welcome your children anytime. Whether there’s an emergency or an event you need to join, our childcare staff will be ready to provide your little ones with the love and attention they deserve. For more information about our 24-hour childcare, please contact us.